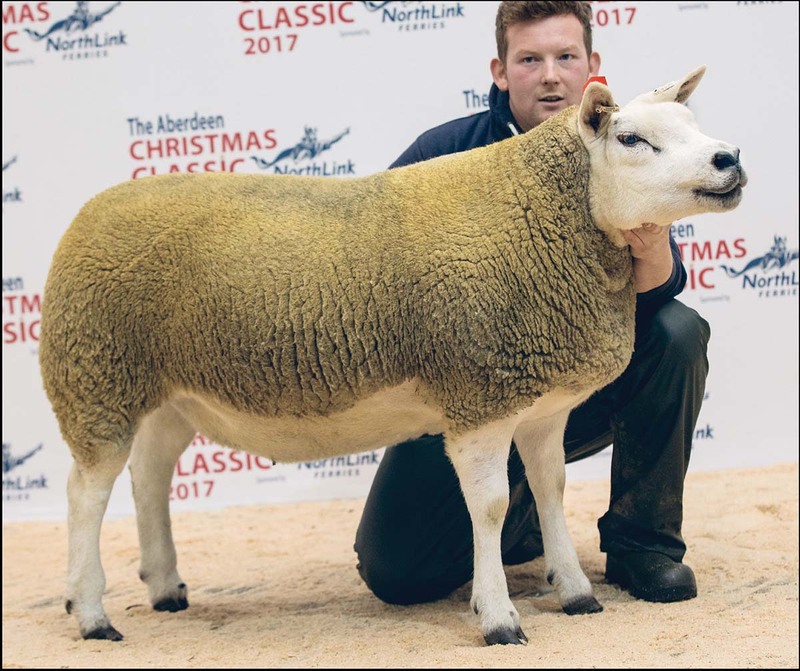 A TEXEL gimmer from R.H. Wilson of the Milnbank flock, Turriff, hit 4,500gns, breaking a centre record at Thainstone’s Christmas Classic. There were 25 four-figure sheep prices achieved, with 22 buyers opting to use the online bidding system. Sale leader is a daughter of the 12,000gns Glenside Wild Boy and out of a Strathbogie-bred ewe. It stood pre-sale breed champion before selling to S. Smith, also Turriff, in-lamb to Strathbogie Yes Sir. Graham Morrison of the Deveronvale flock, Cornhill, topped at 4,200gns for a gimmer by a Windbrook ram which stood third in the pre-sale show. It sold in-lamb to Mullan Armani to K.W. Hourston, Orkney. Best of the Suffolks was a gimmer from G.L. Stuart of the Birness flock, Ellon, which sold in-lamb to Crewelands Megastar for 1,400gns. By Redbrae Rambo, the buyer was S. Milton, Keith. 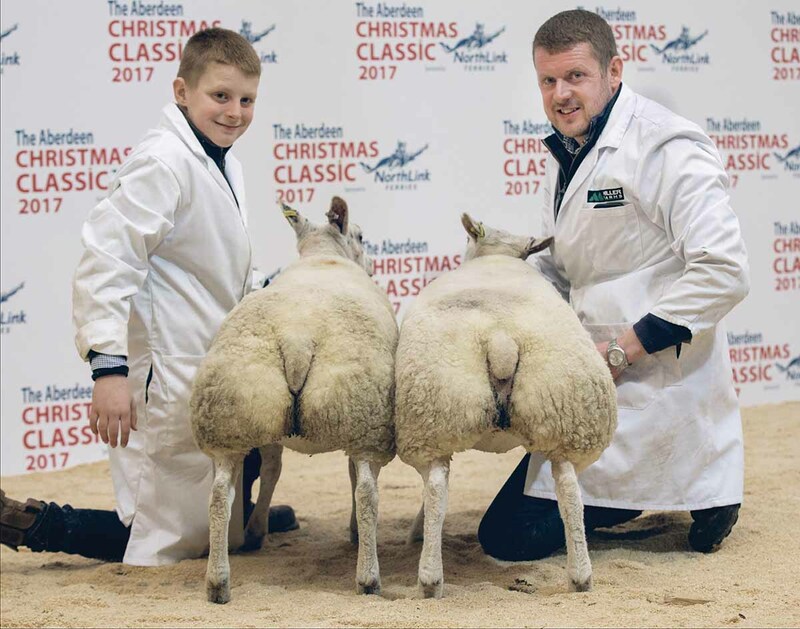 A Blue Texel gimmer from Stasa Moyes, Skene, sold for 1,250gns, while leading the Beltex trade was the pre-sale champion, a gimmer from Colin Mair and Partners, Cuminestown. Averages: 5 Texel ewe lambs, £1,200; 64 Texel gimmers, £859.79; 7 Suffolk ewe lambs, £458; 6 Suffolk ewes, £376; 36 Suffolk gimmers, £471; 19 Beltex gimmers, £513. THE prime cattle section saw a 620kg Limousin cross heifer from Harry Brown, Maud, stand champion, before selling for £4,600 to Malcolm Allan, Larbert. Reserve beef champion was another Limousin cross heifer, this time from Murray Rainnie, Logie Coldstone. Weighing 586kg, it sold for £3,300 to Bruce of the Broch Butchers, Fraserburgh. 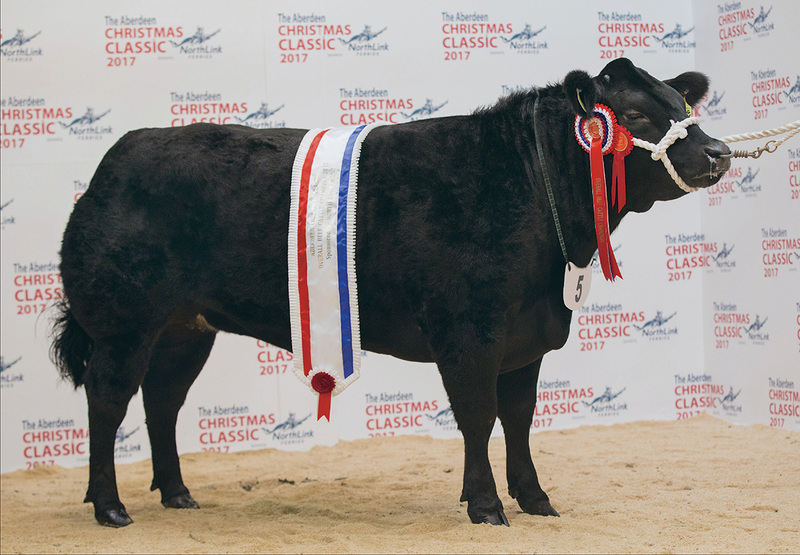 Butchers’ cattle champion was a Limousin cross heifer weighing 546kg, exhibited by Andrew and Reece Simmers, Keith. It sold to Forbes Raeburn Butchers, Huntly, for £3,800. Reserve was a W. Peters, Crieff, with a Limousin cross heifer which later made £3,000 to W.T.S. Forsyth, Peebles. Leading exhibits in the young farmers section reached £3,000 each. The champion was Mark Robertson, Tomintoul, with his 640kg Limousin cross heifer, which went to the judge Jamie Scott, Paisley, while reserve was a 622kg Limousin cross heifer from R. Davidson, Keith, which headed to an undisclosed buyer. In the un-haltered championship, a 578kg Limousin cross heifer from B. Duffton and R. Stuart, Huntly, topped at 305p/kg to Bruce of the Broch. Averages: 48 head, £1,845.70/head (£3.04p/kg). PRIME lambs also met a steady trade, reaching £300/head for the overall champion pair. Exhibited by Seth Miller, Midmar, these 42.5kg Beltex lambs were clinched by the judge, Sam Carlisle, Lockerbie. Averages: 82 head, £112.85/head (£2.53/kg). Auctioneers: Aberdeen and Northern Marts.